Inspection and testing of the facility life-safety systems is required annually. Our service provider, Tyco/Simplex-Grinnell, is on-site Thursday August 23rd – Tuesday August 28th, along with numerous contractors. The inspection will involve ringing the fire bells, which is scheduled for this Monday, August 27. This involves short, intermittent ringing throughout the day. Evacuation is not required unless directed by Facilities staff in person. 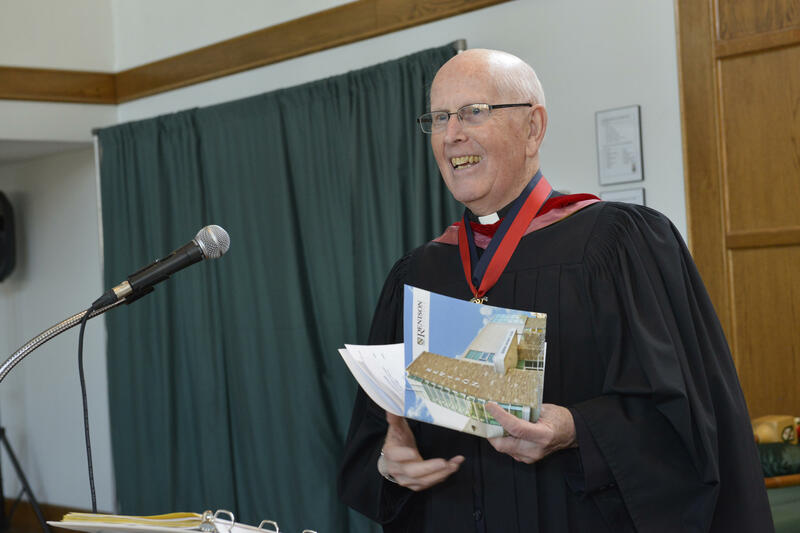 It is with sadness, but with profound gratitude, that Renison University College relays the news that our last living founder, The Venerable Harvey Southcott, passed away on August 6, 2018 at the age of 93.